Experience the creative power of working naturally, directly on the HD screen of this slim, compact Cintiq. Enjoy the immersive experience of creating directly on a high-definition display with Wacom’s finest pressure-sensitive pen. This industry-leading pen display was designed to meet the needs of creative professionals. Wacom’s premium, pressure-sensitive pen provides natural, on-screen creative control and captures every nuance of your movements with the accuracy and precision of traditional art tools. 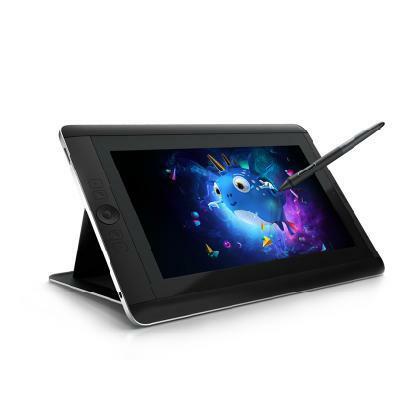 Wacom’s most advanced, pressure-sensitive pen combined with intuitive, multi-touch capabilities deliver an on-screen creation experience that’s so natural and seamless, it feels like an extension of your senses. Enjoy the precise, intuitive control of on-screen creation with Wacom’s pressure-sensitive pen while using multi-touch gestures to position and navigate your work.